A woman has died in a crash in Linlithgow, sparking an appeal for witnesses by police. The collision happened at around 5.15pm yesterday on the A803 Blackness Road at its junction with the M9 motorway and involved three cars - a grey Vauxhall, a pink Kia and a black Vauxhall. 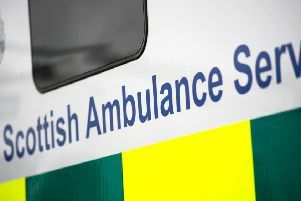 A female passenger in her 70s from one of the Vauxhalls was taken to Forth Valley Hospital where she sadly died. No-one else was injured.